We have a fantastic team of outdoor educators, office management, domestic, catering and facilities staff who work closely together to ensure that all our clients needs are met. Our authentic approach to outdoor learning demands that all our outdoor staff are qualified in the activities we deliver. We do not substitute ‘validations’ for real qualifications. Our staffs high level of qualification are backed up by broad levels of experience and boundless enthusiasm. This ensures that not only are they providing learning of the highest quality but they are able to operate safely and effectively in the environments that form our classrooms. Our outdoor team are made up of qualified teachers and tutors who are all expected to deliver to the same high standards. 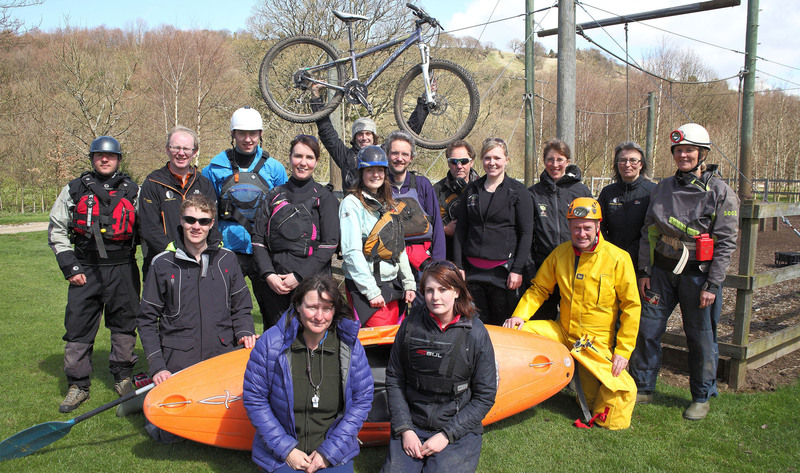 Our Trainee scheme seeks to nurture the next generation of outdoor educators. Our trainees work alongside our teachers and tutors helping to deliver our programmes and inspire the groups we work with. They are often the most keen and active of all our staff, working hard to gain the valuable experience necessary to become fully fledged outdoor educators. Many of them go on to successful careers in outdoor education and as such entry to our trainee scheme is highly competitive. Our outdoor team are only half of the picture though. We rely heavily on our fantastic office team who you will no doubt encounter in your correspondence with us. Managing a large and successful outdoor learning service is a mountain to climb all on its own and our office staff do an exceptional job in ensuring that all the necessary booking, planning and paperwork is in place so that when you get here you have nothing to worry about except the weather. When you do stay with us you will be assured of 3 hearty meals a day (plus supper!) as well as a safe, comfortable and secure place to sleep provided by our superb catering and domestic team who take this not inconsiderable challenge in their stride. They are expert in making everyone feel at home no matter how many folks are here. The upkeep of our centres, maybe the hardest task of all, is kept in check by our team of dedicated facilities staff. There is nothing they cannot build, no leak they cannot fix and no project too complex.